Exhibition Stands, Exhibition Stands UK, Exhibition Services | 200m2 | Inflatable Exhibition Stands! Bridgestone, the largest manufacturer of tyres and rubber products in the world, is pumping air into a new kind of product for the first time… inflatable exhibition stands! 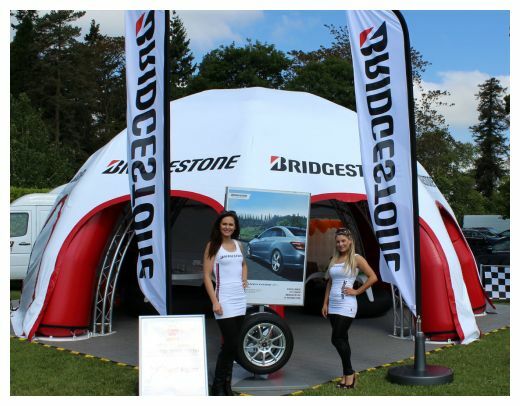 Bridgestone has designed two new inflatable exhibition stands which it hopes will help make a lasting impression at motoring events all over the UK and Europe. Each unit, which measures 8 metres in diameter, is easy and quick to inflate. What’s more, the new exhibition stands are totally unique within the motorsports industry and will help Bridgestone stand out from the crowd. As a leading UK exhibition stand contractor, 200m2 can help you to create a lasting impression at your next show. Contact us today to find out about our range of exhibition services. Previous Previous post: 200m2 Helps 4N To Boost Its Network! Next Next post: Exhibition stands for hire!